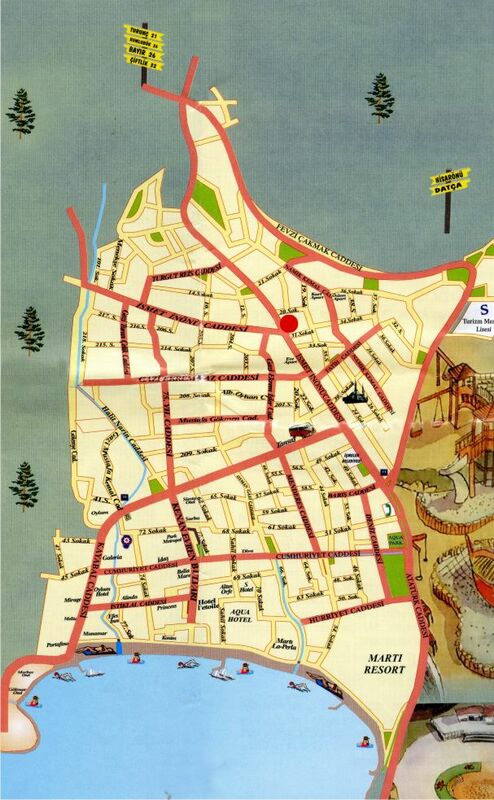 Our location is South West of the Mediteranian and South of the Aegean coasts. 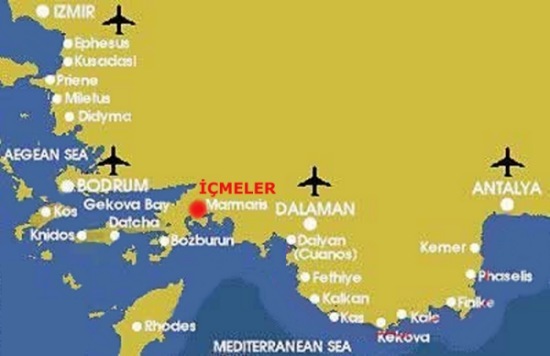 The closest international airport is Dalaman and other preferable airports are Bodrum, Antalya and �zmir. Transfers are by luxurious private cars or mini buses with our own private drivers. Our drivers will meet and greet you at the airport and will take you to your home at �ahin Palace Apartments in ��meler under secure conditions upon where you will be greeted by a member or members of our staff.